While in Gothenburg last year I think I had a Kanelbullar every day. 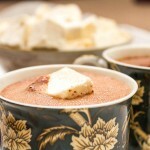 When it’s cold and windy outside sinking your teeth into one of these alongside a hot cup of coffee is just perfect. Slightly sticky, full of cinnamon and normally covered with nibbed sugar you can smell them before you see them in the cafés of Sweden. After trying a few different recipes I have come up with my own Kanelbullar recipe; the ideal balance of bread, wholesomeness and sweetness. Heat the butter and milk together until the butter has melted and the milk is warm. While the milk is heating mix together the flours, yeast, sugar and salt in a large bowl or mixing bowl. Pour the warm milk into the flour bowl and mix well until it has formed a smooth dough. Cover the bowl and prove for 30 minutes. Knead the dough for five minutes or so then divide into two equal sized pieces. Roll each piece into a rectangle. 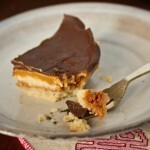 Mix the ingredients for the filling together until smooth then spread the mixture evenly over both rectangles. Roll each rectangle up along the long edge so you have two logs. Cut each log into six pieces so you end up with 12 buns. Put each bun into a case then cover and prove for another 30 minutes. Preheat an oven to 220C. Brush each bun with beaten egg then bake for 8-10 minutes or until golden brown and make a hollow sound when you tap the bottom. I have to say that spreading the buttery, sugary cinnamon mix over the dough is one of the most satisfying things ever. The smell as they bake is just fantastic; a combination of bread, cake and cinnamon. They are best eaten while still warm from the oven, or warmed up again for breakfast with some hot tea or coffee, or in the afternoon with a good book and a mug of hot chocolate. Anytime, it seems, is ideal for enjoying these. A little bit of fika in your own home. These cinnamon buns turned out so perfect! Cinnamon buns are so delicious straight out of the oven and even better with a cup (or two) of coffee 🙂 Would love one of these right now! Looking forward to my sample when I drop in for coffee Pet Lamb! Oh man, I love, love, live cinnamon rolls. I’ve never had a kanelbullar, but they look similar to an oversized cinnamon roll…which means I need these in my life. Looks delicious!! This is just plain dangerous for me as I have been on a cinnamon bun craving for a while but have not ahd one yet, they look great. Oh these look so delicious, I can almost smell the cinnamon. Perfect way to start the day! A friend used to make me something similar – would love to know if this is the same recipe! I will give them a try some weekend soon! You know what, these Swedish cinnamon buns are my breakfast twice-thrice a week. Thanks for this Swedish recipe. UGH! Cinnamon Buns were hands down my favorites!!!! i LOVE this sort of pastry. can cinnamon buns be called pastries? regardless, this recipe looks wonderful and worth every moment of effort. Absolutely! I think you can call them whatever you like! Gosh, these look positively addicting in a very happy, good way! You did a great job with this. These look heavenly! I have a swedish client who was making a very similar thing the last time I was at her house to do a photoshoot and they smelt incredible! I need to try making a GF version! Bread and cinnamon combined are a match made in heaven 😀 I’d love to try these sometime. So great that you baked these in cupcake liners for easy pan removal. They look supremely comforting. 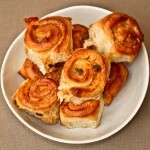 Yum, I’ve never heard of Swedish cinnamon buns, but I certainly want to try to make them now! These look fantastic! Wow these are beautiful! They would be perfect for a special breakfast or brunch! I just dug out an old recipe for cinnamon buns. Yours look picture perfect!! !